Great cameras need great lenses. This up-front review guide looks at the 6 best lenses for Nikon D7200 cameras. After all, this is Nikon’s top DX-line in DSLRs – so it deserves some serious attention. You’ve got the powerful 24.2MP CMOS sensor to help to capture the most amazing sharp images. The quality build and solid performance make this an ideal camera for all kinds of photography. The Nikon D7200 is the choice of many enthusiasts who want to move up from their entry-level DSLR. For the semi-pro, it delivers exceptional results in HD video as well as stills—with the right lenses. I’ve picked six remarkable pieces of glass for this guide. These are lenses that get the most out of Nikon’s D7200 precise metering and photographer’s talent. They’re not all Nikon optics, either. The categories include a top portrait lens, best standard zoom, a macro, and a wide-angle zoom. There’s also an exceptional standard prime lens and a very capable telephoto zoom for the final two. 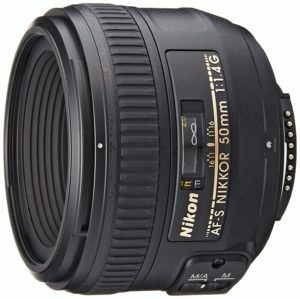 We all need a good Nikon prime portrait lens in the gadget bag, right? It had to be the NIKKOR 50mm f/1.4G prime for me, and there are lots of reasons for that. It’s light, fast, and performs exactly as promised. This is the ideal all-purpose lens for a lot of photographers. It’s the one to keep mounted on the Nikon D7200—just in case. The focus is always accurate and the images consistently sharp. I did think about testing the much cheaper f1.8 for a while, but decided against it. If you shoot—or intend to shoot—at this particular focal length on a regular basis, then the f/1.4G’s a no-brainer. The extra cost over the f1.8 version is worth every single penny for a walk-around lens like this. And, although the build feels a bit plasticky, it’s still a robust construction that’ll last for many years. 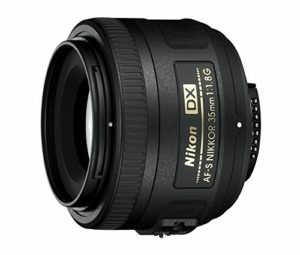 People who buy the Nikon NIKKOR 50mm f/1.4G Prime are happy campers, and there are lots of them. There’s plenty of praise and uploaded images to show the quality bokeh effects of this incredible lens. This isn’t the only glass in the camera bags of more experienced reviewers. That’s always good news for less savvy shoppers as they get to read well-informed comparisons from genuine users. People are pleased with the improved color rendition and sharpness over the 50mm f/1.8D. And others write of the enhanced bokeh compared to Nikon’s cheaper f1.8g. Not everyone is happy, albeit a minority of reviewers. Some folks just think the plastic construction and slow-ish focus don’t justify the price. Well, it’s impossible to please all the people all the time. This lens is tack-sharp. I did come across a few folks who disagree, and I can only assume they had damaged optics or faulty mechanics. Seriously, this is a sharp lens – especially its wide-open sharpness. The maximum f1.4 aperture may only be 2/3 of a stop difference from F1.8, but it makes a huge difference. The enhanced bokeh and stopped-down sharpness speak for themselves. The autofocus is quiet – but it’s not the fastest. A quiet focus is a nice touch in general, but it’s even more important when you don’t want to disturb close up subjects. Think sleeping puppies. Flares and ghosting sound serious, but they are not overly problematic in this case. Even so, there was some notable ghost and flare effects when the sun was just outside the frame. The way to prevent these problems is to simply use the lens cap (included). The build is okay, but it doesn’t have the same quality feel of those old Nikon gold ring lenses. Not all plastics are equal, though, and to be fair the ones used in the 50mm f/1.4G seem robust enough. This is not the cheapest lens around, but it’s not in the high price bracket either. The cost seems high at first glance for a 50mm prime lens, but all things considered I think it’s worth every penny. A standard zoom is a useful chunk of glass to carry, but it’s not the most popular. There are other lenses that take greater priority in many camera bags, so I didn’t go high-end in this category. I chose the Sigma 17-50mm f/2.8 for the Nikon D7200 as it checked a lot of boxes. One box was the attractive price, which is way less than the cost of a Nikon AF-S DX 17-55mm f/2.8G IF-ED Zoom. It’s not in the same class as its Nikon rival, but it’s a really good compromise. The lens covers a good focal range, starting at 17mm wide angle. It keeps its f2.8 aperture throughout the zoom range, too. I couldn’t find much to gripe about at the price. It works well as a multipurpose lens, but comes into its own for portraits and landscape shooting. It’s a little heavy, yet still 7 oz. less than the NIKKOR. 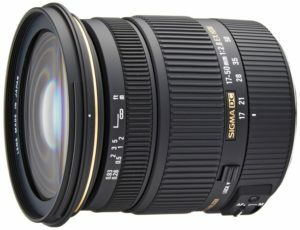 The Sigma 17-50mm f/2.8 EX DC OS HSM FLD sells well, and the price certainly helps with that. But, savvy photographers are only attracted to cheaper lenses if they deliver. This one does. There are plenty of people who take the time to write their thoughts about this lens. Most consider it a great all-around product with wide-ranging capabilities. More praise is heaped on the overall image quality, build, and nice blurred background effects. It’s also a lens that photographers like to use for uploading photos for their reviews. That’s always a good sign. The biggest criticism I came across in the reviews was the autofocus. Some complained how it hunts in lower light situations. Another gripe was how the focus ring moves, with AF making it awkward to grip. The last point is something of a general ‘tanky’ design flaw. The vast majority of photographers who buy this lens are more than happy with their purchase, though. At least those with realistic expectations tend to be. Some folks compare the lens’ sharpness unfairly to higher-end products. I can tell you that this glass produces bright sharp images that are a credit to its price tag. No major complaints there. It also sports an effective autofocus that is fast and fairly smooth. The only issue with the AF is that it moves the focus ring, which is annoying and distracting until you get used to it. Another nice aspect is the compact design. Although it’s not a tiny lens or light, it’s still small and lightweight compared to some of its rivals. It also folds down nicely and fits into any camera bag. The solid build is also worth a mention. Some refer to it as the ‘tank’, but that’s going a bit far. It is robust, though, and the only issue with the external build is the annoying focus ring. If the price wasn’t tempting enough there are a few extras included in the price. There’s a lens carrying case, a lens hood, plus front and rear lens caps. If you’ve read this full review, you’ll know about the bothersome focus ring that rotates during autofocus operation. That means you have to learn to keep your fingers clear when using AF mode. The AF is quiet enough for photography, but it’s on the noisy side for recording quality video. The onboard audio may pick up the mechanical adjustments and clicking sounds during autofocus. The lens cap that comes with the Sigma 17-50mm f/2.8 EX DC OS HSM FLD has difficulty staying on. It seems to be a common complaint. It would be wise to invest in an alternative to protect the lens. I love extreme close-up macro photography, so exceptional quality is crucial. However, that generally comes at a cost. If you’re purely looking for general close-up capability – the budget-friendly Nikon 40mm f/2.8G Micro will do nicely. This is also a NIKKOR 105mm telephoto—the perfect focal length for outdoor portraits and wedding shoots. The AF works from infinity to 1:1 (life-size). Most don’t use AF when doing extreme close-up work. Aside from the high optical quality—expected from a modern Nikon lens—there’s a lot more to like here. The vibration reduction (VR) is especially welcome for spontaneous handheld shots in lower light. Another attraction for me is the rubber weather seal. I spend more time shooting outdoors than indoors. The D7200 DSLR camera has weather sealing, so I prefer some protection for the lens too (few lenses provide it). What we have here is a high-quality, medium telephoto macro Nikon lens that’s for keeps. The image quality is exceptional. The build is robust yet comfortable in the hand, and VR implementation is remarkable. Yes, I love this lens. But, will you, and do others? Let’s take a look and find out. Despite costing in the neighborhood of $900, this puppy sells really well. That’s always a good sign for anyone on the fence. It sells well because it’s skillfully constructed and exceeds users’ expectations. 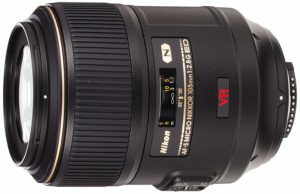 There are hundreds of online reviews for the Nikon AF-S VR Micro-NIKKOR 105mm f/2.8G IF-ED. Enthusiasts, prosumers, and professional photographers are more than happy to have their say. 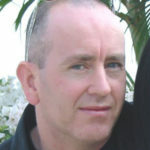 Reviewers upload plenty of their samples too, especially close-up and portraiture work. They can’t praise it highly enough for its sharpness, ease of use, silent AF, amazing bokeh. This list goes on. The two main complaints—if you can call them that—are with the weight and price tag. Despite listing the price as a “con,” photogs still go ahead and buy the lens in droves without regrets. You’ll also find some reviews about how the AF hunts a bit in low light situations, but it’s not a widespread gripe. There’s so much to like about this lens it should have its own page. As these are no-nonsense mini-reviews, I’ll stick to the highlights starting with the supreme pro-level image quality. It’s sharp as a tack—as they say. Though, what more could a photographer expect from Nikon-quality optics. The creamy bokeh effect is stunning with macro, portraiture, and action shots. Nikon has enhanced the image quality still further with its ED glass elements and Nano-Crystal coat. They work by helping to reduce chromatic aberrations (CE) and lens flare. This is the company’s first macro lens to feature Vibration Reduction (VR) technology and a Silent Wave Motor (SWM), according to Nikon. These are both valued features for modern day photographers. The two main criticisms with this lens are what you might call high-class problems. Enthusiasts — dipping their toe into the more serious side of photography — usually raise these “disadvantages”. The first one is the weight. Still, lenses of higher quality use better materials and some include metal parts, so they’re likely going to weigh more. The more experienced photographers won’t notice the relatively hefty 28 oz. It can take a while to get used to if you’re not accustomed to carrying heavier lenses around all day. The other drawback is the price. Again, it’s only expensive for amateurs – but generally priced right in-range for professionals. There were two things that first caught my eye with the Tokina 11-16mm f/2.8. The first was the affordable price, and the other the solid build. It really does just feel like a quality product in your hand. The downside of using better materials is, again, the extra weight. At 19 oz, this puppy is quite hefty for a lens in its class. It feels fine on the Nikon D7200, but the weight does steal a bit from the ergonomics. Ultra-wide lenses have a certain appeal, and don’t work well for everyday shooting. Smaller hands may find this one on the bulky side, too. However, any negatives this lens has are minor in the scope of things. The image quality is spot on with pretty decent sharpness corner-to-corner. Colors and contrast are fine, too. It’s a superb lens for urban and rural landscapes, vlogging on YouTube, and street photography. Weighing up the price with what the lens offers makes it a surefire winner if you have a need for an ultra-wide-angle zoom lens like this. This lens first attracts photographers with its affordable price tag and Tokina’s long warranty. Though, none of these things really matter unless the product lives up to expectations. Two of the first things many reviewers write about is the lens sharpness, and its build. Both of these get a big thumbs up from the majority of online critics. There are a few mentions of a little chromatic aberration when shooting in certain conditions, but nothing major. Most people who buy this lens seem more than happy with their purchase. Some reviewers take the time to upload sample images. This is great for first-time buyers of wide-angle lenses. You get to view astrophotography, landscapes, and lots of portraits in particular. The many reviews and high-ratings exist because this piece of glass delivers on its promises. 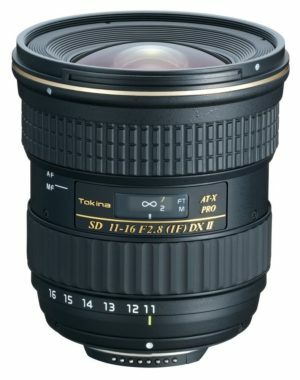 The Tokina 11-16mm has a lot of good things going for it, as well as an attractive price. You won’t find many knowledgeable photographers complaining about the sharpness, not even at wider apertures. The new multi-layer coating helps to keep ghosting and flare to a minimum. It’s not the best coating around, but it’s a definite improvement on earlier attempts by Tokina. There’s a manual auto-slip ring – a nice touch, but takes a little time to get used to. Not everyone’s a fan of the pull-back action, but I’ve found it to be really effective. This is, without doubt, a great value and capable wide-angle zoom lens for the money. And with Tokina’s 3-year warranty, it blows the competition out of the water. Compare the Tokina 11-16mm f/2.8 wide-angle zoom against much costlier alternatives and you’ll find plenty to fault. If you accept it for a lens in its price category, there’s very little to criticize. Some people find the focal range is on the short side for a zoom. This is more of an afterthought rather than a fault, as there are no mysteries about its focal length. The main disadvantage is that the lens’ AF has a tendency to hunt a little in lower light situations. This is a common complaint with some lenses at three times the cost. That’s not an excuse – but it is a fact. This lens has been incredibly popular and continues to sell well. I kept the Nikon AF-S DX NIKKOR 35mm f/1.8G mounted on the D7200 for three days without changing it. Some shutterbugs find standard prime lenses boring, but I disagree. When you know a lens’ capabilities and restrictions, the sky’s the limit. This one is ideal for landscapes, portraits, and night shooting. The price is affordable, too, considering it’s a NIKKOR product. And the build quality is about as good as it gets for an all-plastic shell. I’d say it’s a perfect choice for newbies and professionals alike. The fast f1.8 aperture is great for low-light photography. It also lets you create those awe-inspiring out-of-focus backgrounds that naturally draw the eyes to the point of sharp focus. This is a light, unassuming, high-quality piece of glass that looks and feels at home on the Nikon D7200 DSLR camera. Let’s see if others are as enthusiastic about it as I am. You could buy this lens with confidence based on the number of sales and high ratings alone. Tens of thousands of photographers want one of these, despite its “standard” status. The Nikon AF-S DX 35mm f/1.8G gets lots of praise for its low-light shooting capability, sharpness, colors, and ease of use. Most agree that you won’t find a better piece of glass for less than $200. Not being able to zoom means more footwork, but that doesn’t often deter anyone. So many reviewers upload their best pictures, from portraits, to landscapes, to animals, and close-ups food among – other things. Some find the autofocus a tad finicky. Others would have liked vibration reduction (VR). But, as a fast and lightweight lens, the VR is not such an issue as it would be with slower and heavier optics. In short, almost all the owners of this smart little lens absolutely love it. A lot of lens reviews talk about how weight is a major disadvantage. Well, at just 7 ounces this one doesn’t get any complaints on that front. It’s a fast piece of glass, too – with an f1.8 wide aperture. Image sharpness overall is razor sharp, and there’s beautiful colors and good contrast. There’s a slight loss in corner quality at f1.8. However, it soon irons out once you start to stop down. The bokeh is very nice, enhanced by the rounded 7-blade diaphragm. It’s not the best when compared to costlier lenses, but it’s still beautiful and pleasing to the eyes all the same. One of the great things about a light and fast lens like the Nikon 35mm f/1.8G is its low-light ability. The low-light performance is one of the most talked about advantages among lens owners. There’s always room for a few improvements even with a quality piece like this. There’s some call for vibration reduction (VR) technology. It would be nice, but it would also add a little weight to the lens. The lens is not totally free from chromatic aberration (CE). Most of this is at wider apertures and in low-light situations in particular. Not everyone picks up on this, so it’s not a major drawback. Its plasticky build gets a few moans, but the plastics used in its construction are good quality. Plastics also help to keep the lens as light as it is. There’s nothing more to fault at this price range. This really is a popular lens for all the right reasons. This is an affordable Nikon telephoto zoom lens. It has an impressive sharpness in its 70-200mm range in particular. It’s not the Nikon AF-S NIKKOR 70-200mm f/2.8E FL ED VR, so I won’t dare compare. I chose this lens as a good budget option for enthusiastic amateurs. It may not be exceptional, but it’s certainly acceptable. This lens won’t disappoint anyone who has realistic expectations. It’s not the best looking lens, either – but it is practical. There’s a big, comfortable zoom ring, and zooming is spaced evenly. I found the AF to be fast and accurate, and the manual focus smooth. If this was the first ever telephoto zoom I’d owned, I’d be a happy camper. I wouldn’t even notice the plasticky feel and noisy VR if I hadn’t had the privilege of reviewing much costlier alternatives. Now, let’s see if others agree with my observations. , but the Nikon 70-300mm VR is still a popular buy among amateur photographers. The price helps, but people won’t let the cost sway them if the lens falls short. Reviewers love this lens, which is evident in what they write praising it as a great value product. There are lots of photos uploaded by many reviewers (see Amazon, etc), too. That’s exactly what on-the-fence buyers love to see. It’s a great wildlife lens, and there are lots of outdoor shots posted of animals. There’s some praise for its portrait capability and the bokeh effect, too. In fact, many photographers are surprised how smooth the bokeh is. Count me in. Users love the vibration reduction (VR) which does away with the need for a tripod at slower shutter speeds. A few reviewers find the lens big and bulky, but it’s not overly so – especially when you consider its focal range. This is most likely the sharpest telephoto zoom in its price category, at least in the 70-200mm range. Those who disagree are those who compare the lens unfairly to much costlier alternatives. At 26 ounces, it’s a lightweight piece of glass considering its long focal range. The all-plastic barrel contributes to this. To put this in perspective, the Nikon AF-S 70-200mm weighs 50 ounces. The Vibration Reduction (VRII) is a welcome feature that minimizes camera shake in this budget-friendly lens. The autofocus is fast, and the manual focus switch is simple to use. The bokeh effect is creamy and on a par with costlier optics. A few other high points worth mentioning are the Internal Focus (IF) system, extra-low dispersion glass elements, and 5-year warranty. Compared to a costlier telephoto zoom, there’s plenty of room for improvements. But there’s not a lot to gripe about for a lens that offers so much for so relatively little. It’s not the best looking chunk of glass out there. And the material used makes it feel a little cheap and plasticky (compared to some lenses). Still, it’s this plastic that helps to keep the weight down. 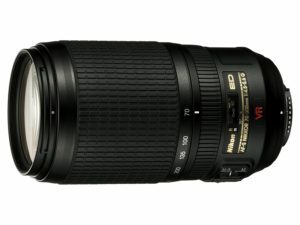 The Nikon 70-300mm f/4.5-5.6G ED IF AF-S VR craves light. Therefore, it doesn’t stand out as a good indoor lens, or for shooting outdoors in lower-light situations. These are minor issues when compared to what the lens offers, as opposed to the minimal number of areas at which it falls short.